Greenfield is part of the Springfield, Massachusetts, Metropolitan Statistical Area. Pocumtuck Indians first settled and originally inhabited the Greenfield area. Native American artifacts found in the area have been dated between 7,000 to 9,000 years BCE. The Pocumtucks planted field crops and fished local rivers but were wiped out by the Mohawks in 1664. Thereafter, the newly unoccupied area — being the eastern terminus of the Mohawk Trail, a principal route for Native American trade traveling west into New York — was colonized as part of Deerfield by the English in 1686. 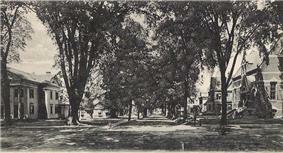 In 1753, Greenfield, named for the Green River, was incorporated as a separate town from Deerfield. In 1795 the South Hadley Canal opened, enabling boats to bypass the South Hadley falls and reach Greenfield via the Connecticut River. 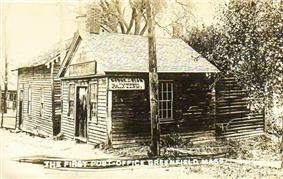 Located at the confluence of the Deerfield and Green rivers, and not far from where they merge into the Connecticut River, Greenfield developed into a trade center. 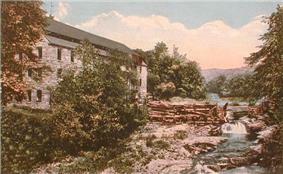 Falls provided water power for industry, and Greenfield grew into a prosperous mill town. John Russell established the Green River Works in 1834, hiring skilled German workers at what was the country's first cutlery factory. The Connecticut River Railroad was the first of several railways to enter the town, replacing the former canal trade. During the 19th and 20th centuries, Greenfield was one of the most important American centers of the tap and die business and was the home of Greenfield Tap & Die Company (GTD). 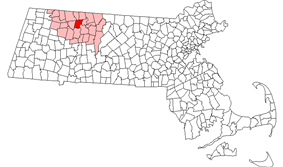 It was designated the county seat when Franklin County was created from Hampshire County in 1811. According to the United States Census Bureau, the town has a total area of 22 square miles (56.7 km2), of which 21 square miles (55.5 km2) is land and 0.5 square miles (1.2 km2), or 2.08%, is water. Greenfield is located at the center of the county and is bordered by Colrain, Leyden, and Bernardston to the north; Gill to the east; Montague to the southeast; Deerfield to the south; and Shelburne to the west. 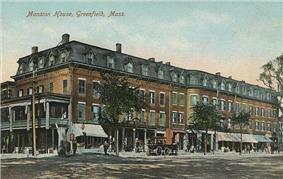 Greenfield is located 39 miles (63 km) north of Springfield and 90 miles (145 km) west-northwest of Boston. Greenfield lies at the confluence of the Deerfield, Green, and Connecticut rivers. The Green River runs from the north, through town to the Deerfield, which lies along the city's southern border. From there, the Deerfield meets the Connecticut, which flows southward along the Montague border before bending eastward briefly before continuing southward. Several brooks flow into the three rivers, as well as a fourth river, the Fall River, which makes up the city's border with Gill. 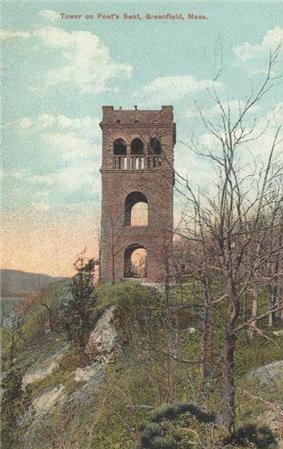 The city is located beside the Pocumtuck Range, the northernmost subridge of the Metacomet Ridge, and is surrounded by hills, with the town center lying on an elevated point above the rivers. Like most of New England, Greenfield has a humid continental climate, with cold, snowy winters and warm, humid summers. Extreme temperatures range from 100 °F (37.8 °C), recorded on July 22, 1926, and August 26, 1948, to −30 °F (−34.4 °C), recorded on January 22, 1961. Greenfield lies at the junction of four highways. Interstate 91 travels north and south through the western stretch of the city and is duplexed for a 3-mile (5 km) stretch with Massachusetts Route 2. Route 2, which follows the rough path of (and is nicknamed after) the Mohawk Trail, enters over the Fall River as a surface road before becoming a limited-access highway until its concurrence with I-91. Once it leaves the interstate, Route 2 becomes a surface road again. Between the start of the limited access section of Route 2 and its split from I-91 at Exit 24, the Mohawk Trail follows Massachusetts Route 2A, which uses Route 2's former right of way through the center of Greenfield. At the town center, Route 2A meets the duplexed U.S. Route 5 and Massachusetts Route 10, which comes over the Deerfield River in the south before heading northward through town, with another interchange along the highway portion of Route 2. Greenfield lies at the junction of two rail lines, an east–west line heading from the northern points of Worcester County towards the Hoosac Tunnel and Albany, New York, and the north–south line heading from Springfield in the south towards Vermont in the north. Both lines are owned and operated by Pan Am Railways. Passenger rail service resumed in Greenfield in December 2014 with the rerouting of Amtrak's Vermonter. The station platform in Greenfield is located behind the Olver Transit Center. The town is served by the Peter Pan and Greyhound bus lines and is the hub of the Franklin Regional Transit Authority (FRTA), whose local service extends from Bernardston to Northampton and from Orange to Charlemont. The John W. Olver Transit Center is the hub for FRTA bus service, as well as the local depot for Peter Pan and Greyhound intercity service. The nearest general aviation airport is located in the Turners Falls section of Montague, and the nearest national air service is at Bradley International Airport in Windsor Locks, Connecticut. By the 2010 census, the population had decreased to 17,456. Greenfield, as the only community in the county with a population over 10,000, is the largest community by population or population density in the county. It is also the smallest mainland county seat in the Commonwealth, as only the island towns of Edgartown and Nantucket are smaller. 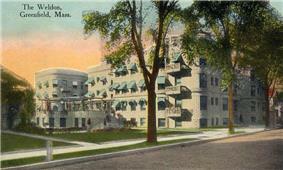 As of the census of 2000, there had been 18,168 people, 7,939 households, and 4,374 families residing in the city. The population density was 836.2 people per square mile (322.8/km²). There were 8,301 housing units at an average density of 382.1 per square mile (147.5/km²). The racial makeup of the city was 93.39% White, 1.34% Black or African American, 0.32% Native American, 1.10% Asian, 0.02% Pacific Islander, 1.41% from other races, and 2.43% from two or more races. Hispanic or Latino of any race were 3.54% of the population. There were 7,939 households out of which 26.1% had children under the age of 18 living with them, 38.6% were married couples living together, 12.7% had a female householder with no husband present, and 44.9% were non-families. 36.9% of all households were made up of individuals and 13.6% had someone living alone who was 65 years of age or older. The average household size was 2.19 and the average family size was 2.88. In the town the population was spread out with 21.9% under the age of 18, 8.4% from 18 to 24, 28.7% from 25 to 44, 23.5% from 45 to 64, and 17.5% who were 65 years of age or older. The median age was 40 years. For every 100 females there were 88.9 males. For every 100 females age 18 and over, there were 85.4 males. The median income for a household in the town was $33,110, and the median income for a family was $46,412. Males had a median income of $33,903 versus $26,427 for females. The per capita income for the town was $18,830. About 11.4% of families and 14.0% of the population were below the poverty line, including 19.2% of those under age 18 and 11.1% of those age 65 or over. 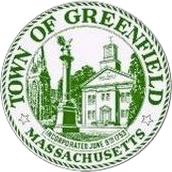 Greenfield is one of fourteen Massachusetts municipalities that have applied for, and been granted, city forms of government but wish to retain "The town of” in their official names. 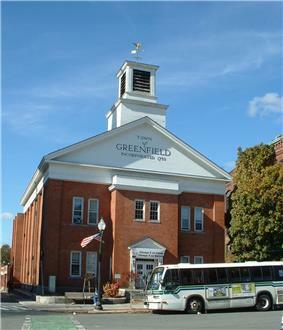 Since the charter change in 2003 Greenfield has been governed by a town council and a town manager. As of 2014, the town council consists of four at-large councilors and nine councilors elected by precinct. The other town boards are appointed, with the exception of the seven-member school committee, which consists of the mayor plus six members elected at-large. Greenfield's first mayor, Christine Forgey, served until 2009 when she was defeated in a primary election. Greenfield's second mayor, Bill Martin, took second place in the 2009 primary as a write-in candidate and went on to win the general election in June. Martin's tenure began with a formal inauguration ceremony, the city's first, which also featured a mayoral fanfare, Long Live Our Mayor, written for the occasion in the style of Hail to the Chief. At the inauguration, Martin read a proclamation declaring July 1 as "Inauguration Day" in all following years. In Greenfield, the Mayor appoints most of the members of the various city boards, with the city council approving appointments. The mayor also serves as a voting member of the school committee, but is forbidden to serve as its chairman or vice-chair. In addition, the mayor sits as an ex officio non-voting member on all the other city boards. The Town Council consists of 13 members: four "Councilors at Large" and nine "Precinct Councilors" elected to represent each of the nine voting precincts. As of 2014, Hillary Hoffman is the Council President, Karen Renaud is the Vice-President. Greenfield operates its own police and fire departments. , ambulance service is provided under a contract with the local hospital system. The town is also patrolled by the Second (Shelburne Falls) Barracks of Troop "B" of the Massachusetts State Police. It runs a sizeable public works department and is the home base of the regional waste management system. The Greenfield Public Library is one of the larger libraries in the area, and is connected to the regional library network. Greenfield also operates numerous municipal parks and recreation areas including a town swimming center. As county seat, Greenfield is home to many different state offices, including courthouses and one of the offices of the Northwest District Attorney, Dave Sullivan. The Franklin County Sheriff is based in Greenfield and operates the Franklin County Jail at the corner of Elm and Allen streets. The city also has the central post office for the "013" series of ZIP codes, which extends through Franklin County and several towns in Worcester County. Greenfield is home to the privately run Baystate Franklin Medical Center, which serves much of the northern Pioneer Valley. Greenfield is part of the Second Berkshire district of the Massachusetts House of Representatives, which includes sixteen cities and towns in Berkshire and Franklin Counties. Paul Mark is the State Representative. In the Massachusetts Senate, the town is part of the Hampshire and Franklin district, which includes much of eastern Franklin and Hampshire counties. State Senator Stanley C. Rosenberg represents this district. Nationally, Greenfield is represented in the United States House of Representatives as part of Massachusetts's 2nd congressional district, and is represented in the 113th United States Congress by James McGovern. As of 2014, Massachusetts is represented in the United States Senate by Senators Elizabeth Warren and Edward Markey. Greenfield operates its own public school system for the town's 1,700 students. Greenfield operates the Academy of Early Learning at North Parish for pre-kindergarten students, three elementary schools - the Four Corners School to the north, the Federal Street School centrally, and the Newton Elementary School to the west - for students from kindergarten through third grade, the Greenfield Middle School for students from fourth through seventh grades, and Greenfield High School for eighth through twelfth grades. Greenfield's athletic teams are nicknamed the "Green Wave", and their school colors are green and white. Greenfield operates the Poet Seat School, an alternative middle and high school for special needs students. On July 9, 2009, Greenfield's local school committee approved creation of the Virtual Academy or "MAVA @ Greenfield", the only kindergarten-through-twelfth grade distance learning school of its kind in the state. The MAVA program is also expected to provide expanded course offerings to students in the traditional public schools. Greenfield is also home to the Four Rivers Charter Public School, which serves students in grades 7-12. 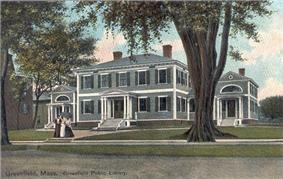 Greenfield's oldest private school is the Stoneleigh-Burnham School, a private 7th-12th grade boarding school for girls. The Greenfield Center School serves students through eighth grade with an "ethical" approach to education. As of 2014 there are no religious schools in Greenfield; the Cornerstone Christian School closed in 2013, and Holy Trinity School, a K-8 parochial school, closed in 2011. Greenfield is home to Greenfield Community College, which serves the northern Pioneer Valley and offers some courses to Greenfield High students seeking advanced learning opportunities. The nearest state university is the University of Massachusetts Amherst. There are also several private colleges, including members of the Five Colleges and Seven Sisters, in the region, as well as Keene State College in Keene, New Hampshire. Greenfield has five FM radio stations, one FM Translator, two AM radio stations, one cable television station, and one daily local newspaper. ¹ - WMCB-LP/WLPV-LP operate under a "share time" agreement with the U.S. Federal Communications Commission. Guiding Star Grange is a community hall, known for traditional music and dance in the Pioneer Valley. Greenfield Center School, an independent K-8th grade school, is a site of the Coalition of Essential Schools and the home of the New England Coalition of Progressive Educators. Greenfield Energy Park is a community greenspace featuring renewable energy exhibits, gardens, native arboretum, caboose museum, concerts, and public art in the heart of downtown Greenfield. It is the site of the former train station. Headquartered at the Northeast Sustainable Energy Association (NESEA). Leavitt-Hovey House, now the Greenfield Public Library, built in 1797 by Asher Benjamin for judge Jonathan Leavitt. The area is home to an optical illusion known as a gravity hill. It is located on Shelburne Road, while facing Greenfield, immediately after the Route 2 bridge. From under the overpass, the road appears to rise slightly to a crest a few hundred feet away. The illusion is slight, but convincing. A car in neutral at the "bottom" of the rise will appear to crawl uphill. Rocky Mountain Park features Poet's Seat Tower, a 1912 sandstone observation tower named for the site's attraction to poets, particularly Frederick Goddard Tuckerman. The annual Fourth of July fireworks celebration takes place at Poet's Seat, which overlooks Beacon Field. ^ "Profile of General Population and Housing Characteristics: 2010 Demographic Profile Data (DP-1): Greenfield Town city, Massachusetts". U.S. Census Bureau, American Factfinder. Retrieved August 22, 2012. ^ "Geographic Identifiers: 2010 Demographic Profile Data (G001): Greenfield Town city, Massachusetts". U.S. Census Bureau, American Factfinder. Retrieved August 22, 2012. ^ "July Daily Averages for Greenfield, MA (01301)" (Table). The Weather Channel. Retrieved 2012-09-11. ^ "August Daily Averages for Greenfield, MA (01301)" (Table). The Weather Channel. Retrieved 2012-09-11. ^ "January Daily Averages for Greenfield, MA (01301)" (Table). The Weather Channel. Retrieved 2012-09-11. ^ "Greenfield, Massachusetts Travel Weather Averages". ^ "Comment welcome on new transit depot". ^ Hunter, Cheryl (November 26, 2014). "Sounds Local: Signature Sound Celebrates 20 years; Woman Songwriters' Collective Celebrates new EP". Thompson, Francis M. (1904). History of Greenfield, Shire Town of Franklin County, Massachusetts, Volume 1 (PDF). Greenfield, Massachusetts: T. Morey & Son. Retrieved 2014-09-04. Thompson, Francis M. (1904). History of Greenfield, Shire Town of Franklin County, Massachusetts, Volume 2 (PDF). Greenfield, Massachusetts: T. Morey & Son. Retrieved 2014-09-04. Vanasse Hangen Brustlin, Inc. (2013). "Sustainable Greenfield, Greenfield's 2013 Comprehensive Sustainable Master Plan". 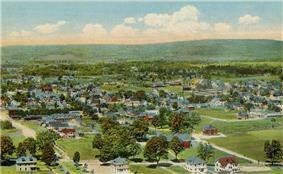 Town of Greenfield, Massachusetts. Retrieved 2014-09-04. Greenfield' Extracted from 'History of the Connecticut Valley in Massachusetts, Volume II' by Louis H. Everts, 1879"'". 2005. Retrieved 2014-09-04.